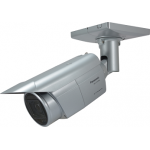 G-Lenz SECURITYGUNS-98036 36CH NVR STANDALONE XMEYE (4K) SUPPORT 4 HDD G-LENZ Authorized Maste..
Q991250 W/CH Class‑H Power AmplifierHigh-efficiency power and performanceInnovative Class-H design12..
Acourete Paint EZ1Acourete Paint EZ1 adalah cairan insulasi suara dan peredam getaran. 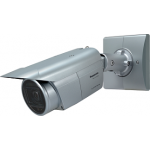 Bahan da..
G-Lenz SECURITYGUIP-39020 INDOOR IP CAMERA SONY STARVIS IMX290 2.0MP (POE) WDR 120dbG-LENZ Authorize..
Acourete PerfoBass TreatmentResonansi atau Room Modes di sebuah ruangan dapat mengganggu tonal balan..
SLA-550DV1/3" CS-mount Varifocal Lens• F1.3 DC type auto iris• Varifocal 5 ~ 50mm / 0.2" ~ 1.97"WISE.. This 5-megapixel / 30 fps Fixed Box Network Camera is based on the concept of "i-PRO EXTREME". H: 34-106 deg. V: 19-57 deg.